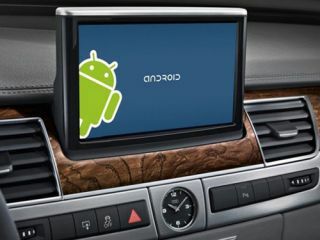 Google teams up with major auto makers to bring Android apps to your car | What Hi-Fi? The battle to control your car’s smart functions has begun – and Google has teamed up with some big car companies in an attempt to make Android the go-to platform for in-car apps. Today, the company announced that it has formed the Open Automotive Alliance with General Motors, Honda, Audi, Hyundai and Nvidia. The group will work together to promote a common, purpose-built, Android-based platform for in-car entertainment, and says the first cars equipped with it will be on sale by the end of 2014. The OAA’s press release is light on specifics about the platform itself, but says it wants to make in-car technology “safer and more intuitive for everyone”, and that the modified version of Android “will allow automakers to more easily bring cutting-edge technology to their drivers, and create new opportunities for developers to deliver powerful experiences for drivers and passengers”. The OAA also says that it’s keen to recruit more car manufacturers and technology companies to its cause. Google’s announcement comes after Apple has already begun integrating Siri into cars, while Ford’s Microsoft-designed Sync app system is available in several of the auto giant’s models.